Nero di Marte live in Warsaw, Poland (2016) – Photo by Janek Fronczak. Nero di Marte is an experimental/progressive metal band based in Bologna, Italy. Formerly known under the name Murder Therapy since 2007, the band released their debut album “Symmetry of Delirium” in 2009, which showed a very personal mix of modern dissonant metal. A more broadened approach to songwriting became audible in the 2011 self-released Ep “Molochian”, which marked a stylistical step forward towards more experimental and atmospheric compositions. The Ep gained international momentum and put the band on the radar in the underground metal scene.After some line-up changes, recording sessions for a new album took place throughout the summer of 2011 and was then mixed and mastered at Studio73 in Ravenna with producer Riccardo Pasini (Ephel Duath, The Secret, etc.) in November of the same year. During the course of 2012 the band changed name to Nero di Marte, the name the album was originally given and subsequently signed to Prosthetic Records who released the album worldwide in mid-March 2013. 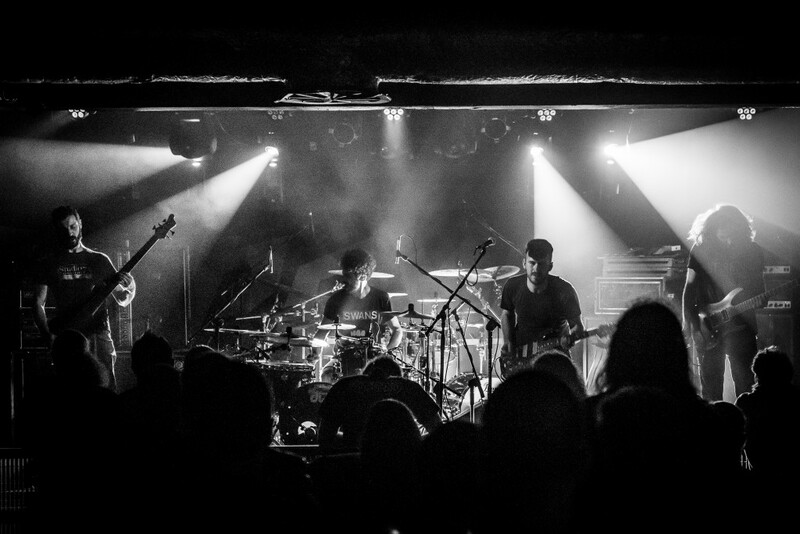 After their first North American and Canada tour with Gorguts and Origin, NDM returned once again to Studio73 in May/June 2014 to record their sophomore album, Derivae, to be released in late October 2014 on Prosthetic. Hypnotic, dark and tragic - Derivae is the culmination of 3 years of work and is by far the band’s most expansive and diverse effort to date. After many shows in Italy promoting the new album, on March 2016 the band started a full european tour with Gorguts, Dysrhythmia and Psycroptic. Nero di Marte is: Francesco D’Adamo (guitar), Sean Worrell (vocals, guitar), Andrea Burgio (bass), Marco “Samu” Bolognini (drums).